As a 23-year-old and recent Hope graduate working for my alma mater, I anxiously awaited my first official “alumni visit”. The date was October 9, 2006 and the place was a popular bohemian hangout, the Rose Café, in Venice (think L.A. beaches and boardwalks, not grand Italian canals and mazelike streets). I was in California for a Hope event and had time for a quick breakfast appointment before flights back to a much colder Michigan. My goal was to meet and thank a 1984 alumna who had been supporting the Hope Fund consistently since graduation. I didn’t know then that I would create a meaningful connection with an amazing person I have the pleasure of working with still today. The typical alumni biography for Vicki Brunn ’84 is impressive enough. She has been senior counsel at Amgen, a biotechnology company, since 2007. She completed a masters degree in child development at University of California-Davis in 1988, and a law degree at Loyola in 2004. Her career experience has included serving as a senior child life specialist at UCI Medical Center; as coordinator of child life services at Cedars-Sinai Medical Center; and as an attorney with two different firms. She has provided pro-bono public counsel and is a past vice president of the board of directors of the Starlight Children’s Foundation. At Hope she majored in psychology and minored in economics. She was involved as a student with the Alpha Gamma Phi sorority, Nykerk, the Anchor newspaper and the pep band. However, typical biographical summaries rarely tell the whole story. 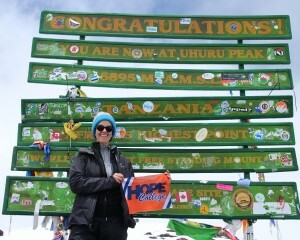 When I met with Vicki almost a decade ago she shared that she would like to get more involved at Hope. So she did. In 2011 she joined the Alumni Association Board of Directors. She also shared that someday she would like to start an endowment. So she did. In 2012 she established the Teresa Emeline Brunn Psychology Fund, providing resources that empower Hope students to explore foster care and children’s advocacy. At one point, she decided she would like to summit Mount Kilimanjaro. So, 19,341 feet later, she did. Later, she decided that she would like to foster elephants. So, through the David Sheldrick Wildlife Trust, she did. Ishanga and Kibo are now rescued and protected in Kenya thanks to her philanthropy. 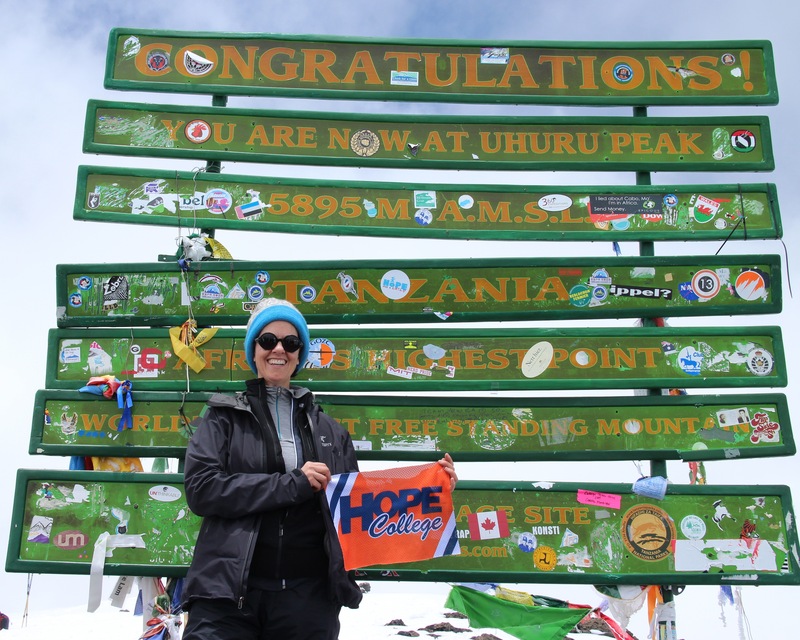 This year, she was asked to serve as president of the Hope College Alumni Association. We’re glad she agreed to do that too. To learn more about the Alumni Association Board of Directors and the programs they support for Hope alumni, visit hope.edu/alumni.